Knowing yourself can be considered one of the most crucial elements in winning in poker. Although you battle it out with your opponents, it is the mastery of oneself which is key to exploiting your opponents. Every individual will have different psychological factors to consider when playing the game and each has his own style of play. If you are not familiar with your style of play at a poker table, read on and we will give you an idea. If you believe you are a tight and passive player, you will notice that you get into the action a lot but most of the time you are outdrawn. Instead of raising or re-raising you opt for calling or just checking. Loose players can eat their way into your chips since you will allow them to play their suited connectors so they will get their draw without too much of a fight. They might also win big when you are a bit too tight to fight for a bigger pair that you have. If you think you are this kind of player then most likely you only get little action on the poker table and rarely do you win big when you have a monster. People know that you only act when you have big hands, and why will they go full speed against a wall? Tight players sometimes forget to loosen up a bit to play not so premium a starting hand as thing get shorthanded. This style of play though remains profitable. Other players will love to have you at their table. The poker table will be full when you play. You get a lot of action, but you also lose a lot. This can be the worst style that you can keep. You rarely fold your cards. When you have strong cards, you play them not so aggressive so you don’t make the most of it. If you think you are this kind of player, do something about it. Now. If you are this kind of player, you are a tough opponent. You tend to raise or do re-raise even when you don’t have the best of cards. 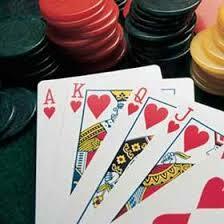 Most likely you can get into the action with any two cards that you are dealt with. It is a very difficult style to master and use on the poker table. You have to be very familiar with the game to adapt this style of play or else you will be going home early every session.